His work is usually consists of free-hand, line drawings, small and complex, creating a full pattern of faces, buildings, shapes, objects, texts and various ideas all put into one cartoon, fun-looking collage. It all depends on the motif with him. If the motif is a city for example, you will see a collage with of a wide variety of buildings (including the most-known buildings and monuments in the specific city), the local food, jokes, restaurants, attractions, people, objects and anything interesting that Jan Paul can challenge himself by showing you graphically and getting the feeling across. So what we have here is a classic Jan Paul design of the Montana Boombox. 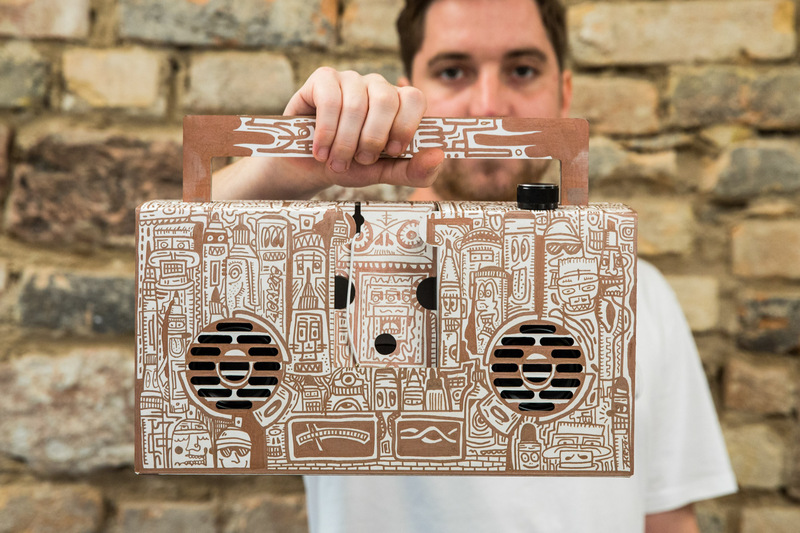 This is a blank white, special addition of the original Berlin Boombox which one is free to design on his own. This beauty is a typical JP collaboration with Montana ACRYLIC Markers where he used FINE and EXTRA FINE tips, ACRYLIC 25ml Refills in Copper Metallic color. 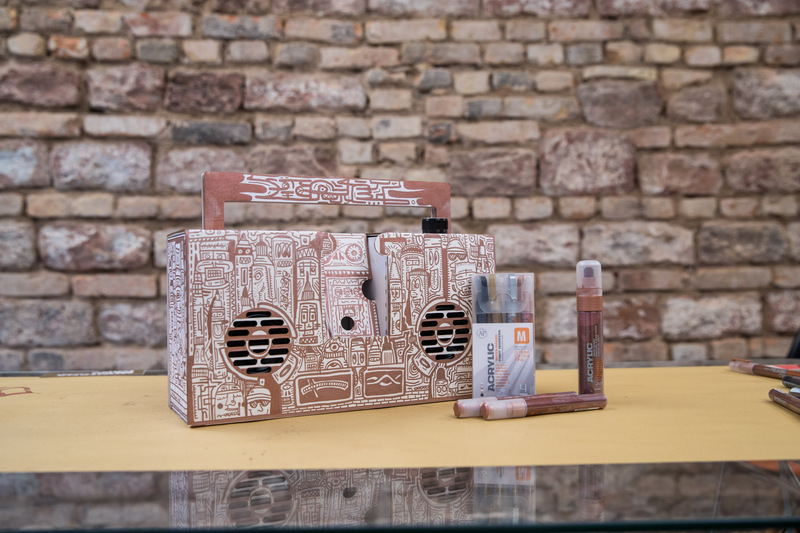 The work is also all about Montana Cans and Markers, specifically the ACRYLIC series, resulting in a texture that consists of characterized drawings of spray cans, ACRYLIC markers and other Montana products along with old-school equalisers and sound themed decorations. Check out other artworks of his at: janpaulmueller.de or follow him on Tumblr @janpaulmueller.